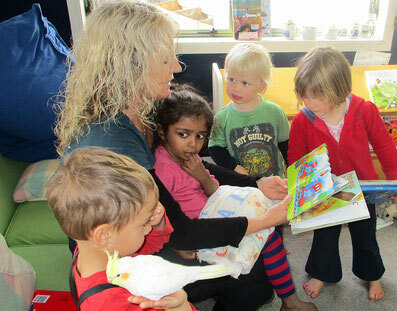 Pauanui Pre-School is, community owned, not for profit early childhood centre. We are licensed for 25 children including up to 8 children under the age of 2. We are Pauanui's only Early Childhood facility and cater to the needs of the Pauanui, Hikuai and Tairua areas. 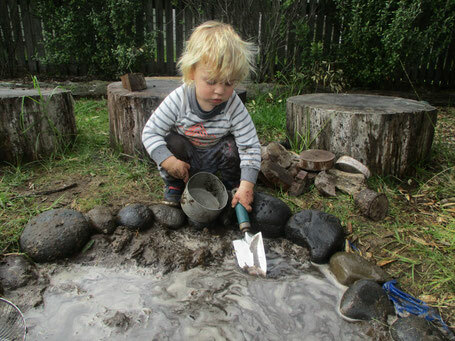 We work within the framework of Te Whāriki which is our national early childhood curriculum. By following an emergent interest based programme we provide unlimited opportunities for children to build more complex knowledge around things that interest them. Teachers encourage tamariki to work both co-operatively and independently, to problem solve, practise social skills, question, and hypothesise. As part of our philosophy we strive to provide a homelike environment that is rich in open ended equipment and materials, which empower thinking, open up possibility, inspire creativity and provoke thought. Within this rich learning environment children's interests are fully supported and extended with numeracy and literacy incorporated within the course of the day. Empowerment/Whakamana – Through our curriculum children are empowered as interactive learners with control over their own learning. Our curriculum is largely based around children’s own interests and they are supported and encouraged through a journey of discovery. We aim to offer a rich and positive learning environment, which stimulates children’s learning, within which children can freely and safely explore. Holistic Development/Kotahitanga – Our curriculum encompass’ all dimensions of children’s learning and development, considering the child as a whole, fostering respect for themselves and each other, and our beautiful environment. Relationships/Ngā Hononga – We foster warm, positive, responsive and reciprocal relationships with the children, valuing and scaffolding their learning and encouraging children to do the same with each other. Family and Community/Whānau Tangata – We recognise that the centre is an important meeting place for parents/caregivers and extended family and friends. Their involvement is valued and encouraged. Our centre is very much part of the Pauanui and Hikuai community and believe strongly in the importance of fostering these relationships. Monique has been living in Pauanui and teaching as Head Teacher at the centre since 2010. Monique’s husband Aaron is a local landscaper and they have two children Ethan and Sophie. Monique and her family enjoy the wonderful lifestyle that this beautiful place offers. In her spare time Monique enjoys netball, walking and mountain biking with her family. Jo joined the teaching team as a Senior Teacher at the beginning of 2017. Jo has been working in early childhood education since 2001 in both Kindergartens and Early Childhood Centres. 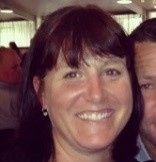 Jo and her husband Damien have 4 adult children and live in Tairua. Jo enjoys being active, fishing and exploring the great outdoors and has a particular interest in Te Reo Maori. Selina joined the Pre-School team in 2015. Selina lives in Tairua, where her family relocated to from Te Aroha. Her husband Sam is a self-employed builder and she has 3 children; Rief, Shae and Chylan. Selina enjoys reading, netball, fishing, cake making and decorating, swimming, bush walking, learning guitar and loves to try to surf! Melinda has been working as a Teacher Aide with us since 2011 and has recently completed her Graduate Diploma in Early Childhood. Melinda’s partner Nico is a local builder. As well as looking after the smallest members of our community, Melinda has been taking junior art and craft classes here in Pauanui and Tairua for the past 10 years. She enjoys photography, gardening and cooking. 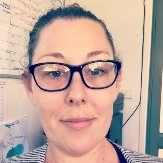 Sarah has been involved in Pauanui Preschool since 2009, firstly as a parent and member of the Board of Trustees and was employed as the Office Administrator in 2012. Sarah lives in Pauanui with her partner Shane and 3 children; Alexis, Brooke and Chloe. Sarah enjoys spending time with her family and friends, cooking, walking, marketing, public relations and design.